As if ripped from the pages of Alice in Wonderland, the land of giant mushrooms is real in Missouri. 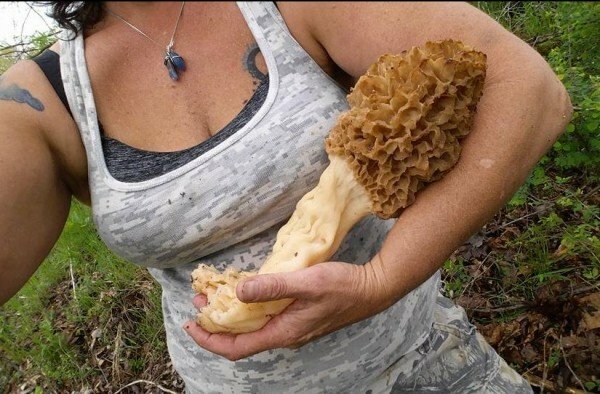 A turkey hunter in Missouri discovered a giant morel mushroom a foot tall unlike anything people have seen in generations. Turkey hunter Charlie Ware said he practically stumbled over the giant fungi while he was scouting for turkeys near a small community outside St. Louis. The Missouri Morel Hunting Facebook page posted photos of the find last week to much amazement. Ware reportedly took the shroom to an officer with the Missouri Conservation Department. But it turns out the state doesn’t keep records for morels. The morel measured 12 inches tall, 4.5 inches in diameter and a circumference of 13 inches. Even for those who can remember when Missouri was flush with giant morels, this specimen is huge.